The Burmese is a strong, sporty cat that holds a surprising amount of weight considering its size. Burmese coats are short, silky, and very low-maintenance. 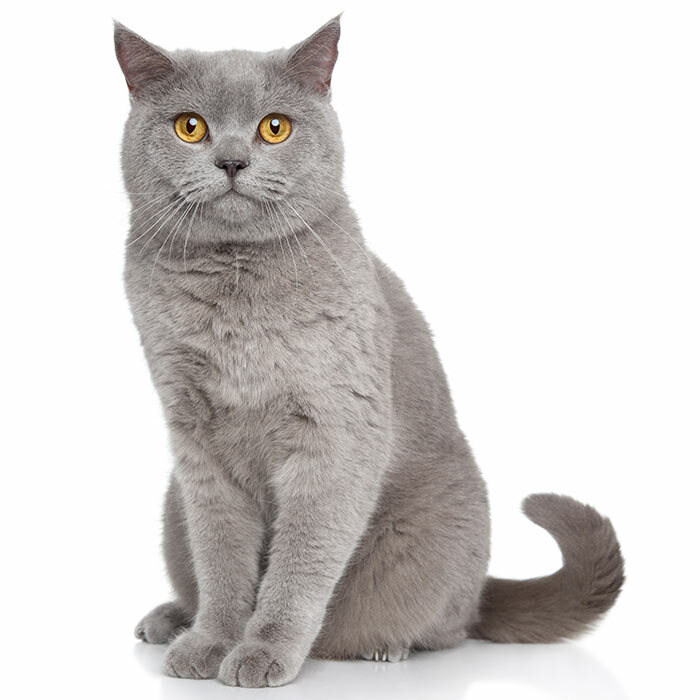 Despite their relative heaviness, they are elegant and graceful cats with strong muscles and good bone structure. They come in a variety of colours, including sable, champagne, platinum and blue. They have wide-set, large eyes ranging between yellow and amber. 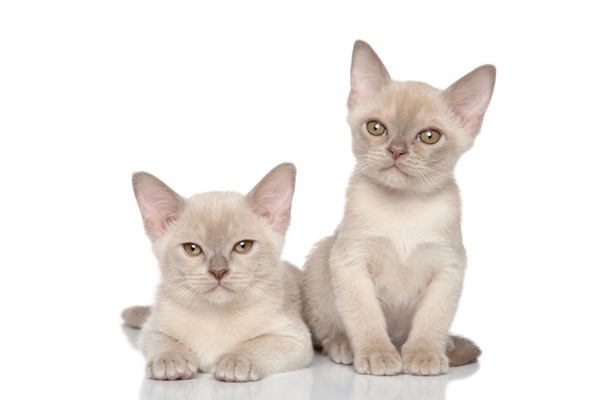 Burmese cats can weigh up to 5.5 kg and can live beyond the age of 15 years old. Burmese Cats, like their Siamese ancestors, are intelligent and social cats, though tend to be less talkative than Siamese. They are very playful cats and love being around their family.  Almost like dogs, Burmese cats want to be involved in every aspect of their owners’ lives – they’ll follow you around while you do chores, cook meals and watch television. They have been known to even win over “dog people” because of their tendency to shower guests with attention and affection. They don’t do well when left alone for a long time, unless they have another pet to keep them company.  They get along well with children and other pets and make great companions for the whole family. What are the most common health issues for Burmeses? Lipemia of the Aqueous Tumor.  This refers to a milky appearance on a kitten’s eyes which will usually resolve by itself. Corneal dermoid refers to skin and/or hair which grows over the surface of the cornea. It can be corrected with surgery. Orofacial Pain Syndrome. When the cat is stressed, it may experience pain in its face and will lick, chew, or paw at the mouth frequently to try and reduce the discomfort. The cause is unknown, but medication can be prescribed to help manage the pain, and some cats may be made to wear collars to prevent them from hurting their faces. Congenital Peripheral Vestibular Disease. This is characterised by poor balance, head tilting, rapid eye movement, lack of coordination and possibly deafness in kittens. Burmese head defect is a craniofacial deformity causing incomplete or abnormal formation of the skull. It drastically reduces the quality of life of the cat. Carriers of the defective gene should not be bred. Hypokalaemic polymyopathy is a muscle weakness resulting from a lack of potassium in the blood. Symptoms include weakness, stiffness in the legs, reluctance to walk and tremors. It can be treated with potassium supplements. Flat-Chested Kitten Syndrome. This is a deformity which can prevent the development of the chest/ribcage. Kittens who survive into adulthood generally show no signs. Other Issues. Burmese cats may also be prone to kinked tail (a tailbone deformity which does not cause pain or discomfort), elbow osteoarthritis, endocardial fibroelastosis (a heart condition causing a thickening of the left ventricle and stretching the heart), dilated cardiomyopathy (enlarged heart) and diabetes. The Burmese Cat originated in Burma (known today as Myanmar), though its exact origins are not known for sure. 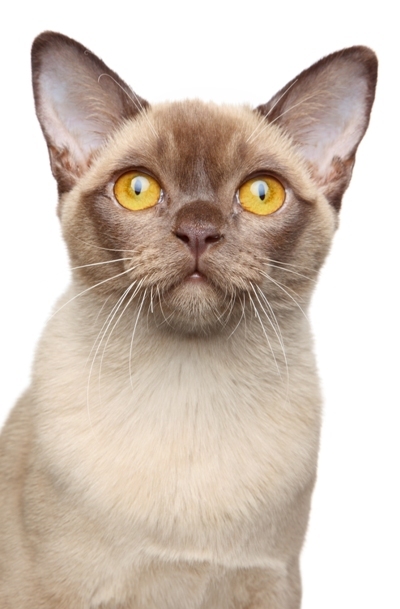 There is a mention of a copper-coloured Burmese-like cat in the ancient Thai Cat Book, written between 1350 and 1767. 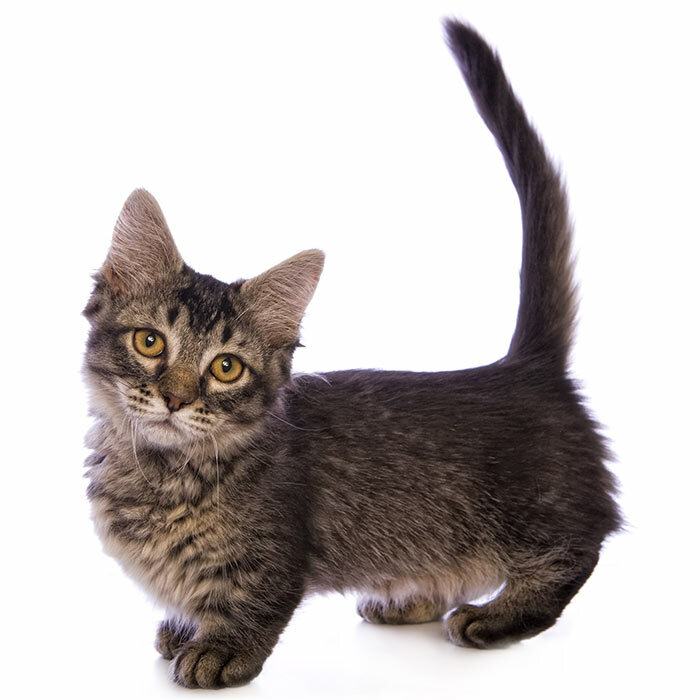 The modern cat was founded by Dr Joseph Thompson in 1939 who imported a small, brown female cat to San Francisco. 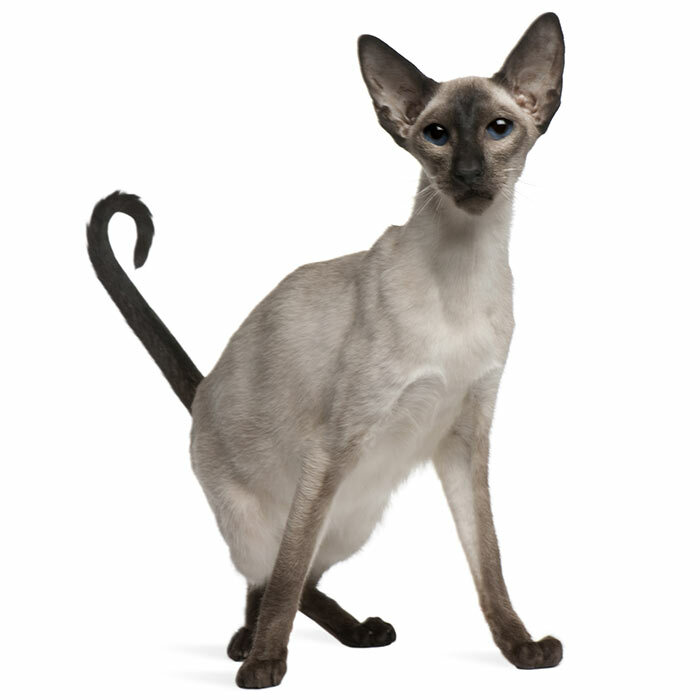 This cat, named Wong Mau, was bred with a Seal Point Siamese and their offspring were the ancestors of the modern Burmese breed. The breed was developed in Britain in the late 19th century but eventually died out, before experiencing a revival in the 1950s. As of 2013, according to the Cat Fanciers Association, the Burmese ranks as the 16th most popular breed of cat. 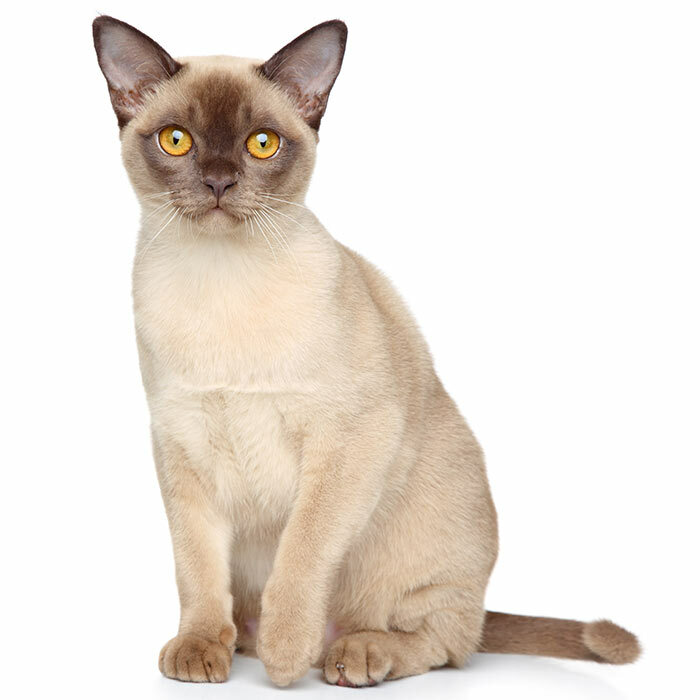 The Thai name for the Burmese Cat translates to “beautiful, fortunate and of splendid appearance”. Burmese are sometimes referred to as a “brick wrapped in silk” due to their stocky yet delicate form. 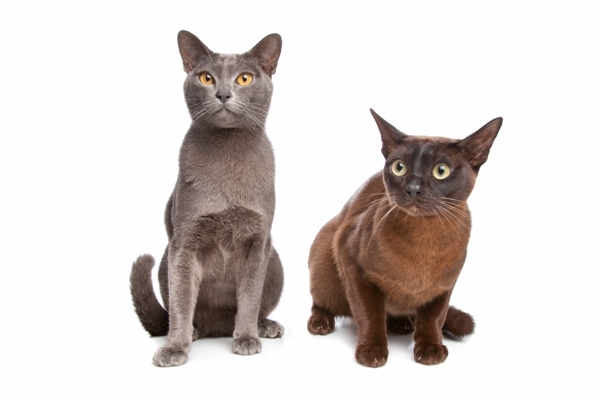 Male and female Burmese Cats can tend to be quite different. Females are very curious, active and emotional, while males are more relaxed and lazy.